The car’s engine is what the heart is to the human body. So when your engine is facing some problems, you can be sure that be one of the worst headaches you will ever face. So there’s no doubt that you’ll have to make sure that your engine is in tip top order so that you won’t be facing any of these problems. Here are 5 ways you can proactively protect your car’s engine from harm and to keep your car in a fantastic condition. Sometimes, the simplest thing is also the most overlooked. You have to learn how to familiarize yourself with your car’s performance, its limits and capabilities, the sounds it makes, its fuel efficiency etc. All these information is important because knowing your car is the first step to identifying problems when they do crop up. And when something does go wrong, you’ll definitely notice because every little sound will tell you that your car might be facing problems. Fluids in your car is very important, as the oils is to an engine as blood is to your heart. Remember that the dipstick is there for a reason. Here are the 5 kinds of fluids you should make sure your car has enough of every time you do a check. a. Engine oil - Remove and wipe clean the dipstick, then insert it for a clean read. The dipstick should have a normal range indicated. If the oil is low, add more following recommendations in your owner’s manual. Be careful not to overfill. Make sure, also, to change the oil as per the schedule in your car’s owner’s manual. b. Coolant - Look for the clear overflow plastic container near the radiator. If the liquid is below the minimum line, fill with a 50/50 mix of water and antifreeze. c. Power steering fluid - The small tank is located near the firewall, at the windshield’s base. Level should be between the minimum and maximum levels. d. Brake fluid - Usually in a clear reservoir marked with minimum and maximum lines. Fill if it’s low, but then have the system checked: there could be a leak or the brake pads may be wearing. e. Windshield washer fluid - Keep it full as it’s important to keep your windshield clean. There is only one thing standing between your engine’s combustion process and the unwanted dirt, dust and debris from the outside world. 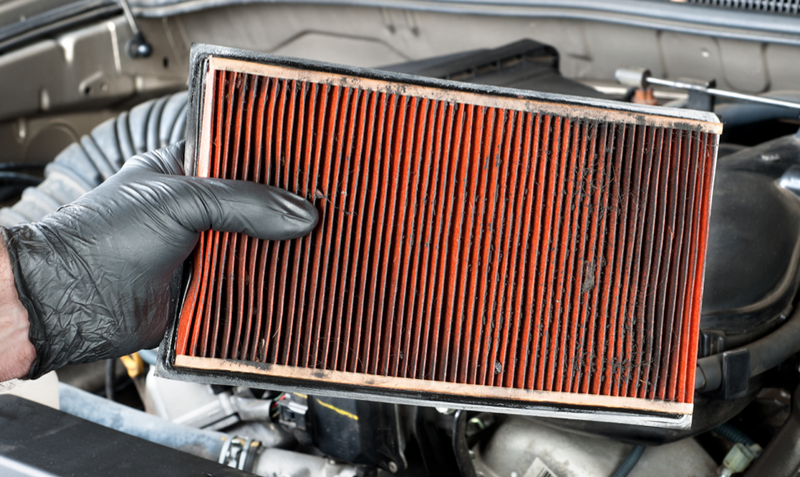 It’s important to make sure to change your air filter whenever it becomes dirty, as this will help keep the engine’s cylinders working well, allowing for optimal performance. Your engine oil, no matter how premium it is, cannot be left too long. When left long enough, it becomes a sludge that’s harmful to your engine. Regular oil changes directly affect your vehicle’s long-term reliability. Changing its oil based on the manufacturer's recommendation is perhaps the single most important thing that you can do to keep your vehicle's engine running longer. However, you must read these recommendations closely to determine the correct interval; the interval that matches your vehicle's operating conditions and your driving habits. In addition to changing the oil, there's another part of keeping the engine cool that you can't overlook; the cooling system. The cooling system includes the radiator, thermostat, water pump and coolant. 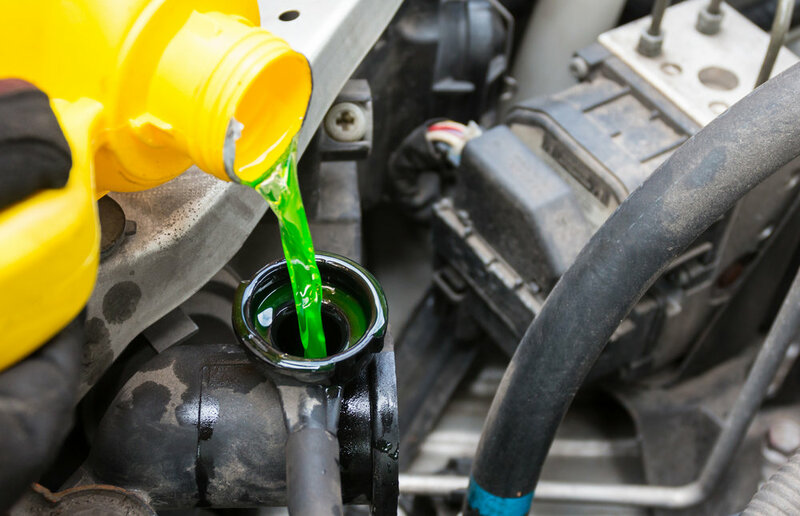 The easiest way to protect your engine from overheating is by making sure you have the proper amount of coolant (radiator fluid) circulating throughout your engine. The coolant circulates through your engine when the thermostat determines that the engine is getting hot and needs to be cooled down. The water pump then pulls coolant from the radiator, sends it into the engine block and then back out to the radiator to be cooled back down. It’s always good to keep track of your coolant levels to help your engine out when it overheats. And there you have it, this is how you can proactively protect your car’s engine and hopefully extend the number of years of driving. What do you think about these tips? Leave a comment below!